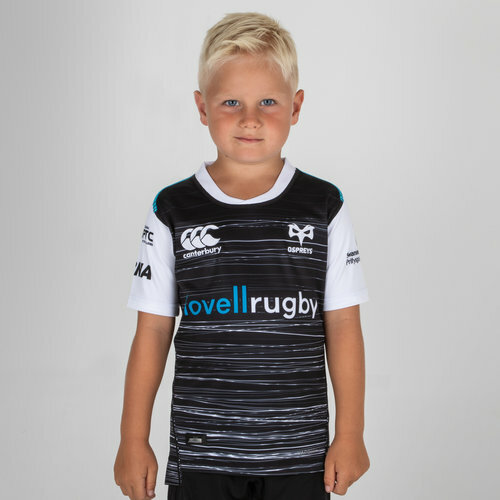 Hit the Liberty Stadium in those famous white and black colours this season with this Ospreys 18/19 Home S/S Kids Pro Rugby Shirt. 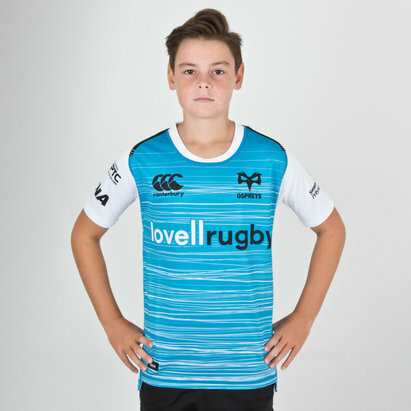 The linear design of the new home shirt is inspired by the unity of the Ospreys team and their supporters, the ‘Made of Many’ campaign - a nod to the people and clubs across the Region which the team represents. It is that bond which enables the team to focus on success and interweave passion into their performance. The shirt features a new one-piece crossover crew collar which reduces neck pump, keeping the players cooler and removing distraction. 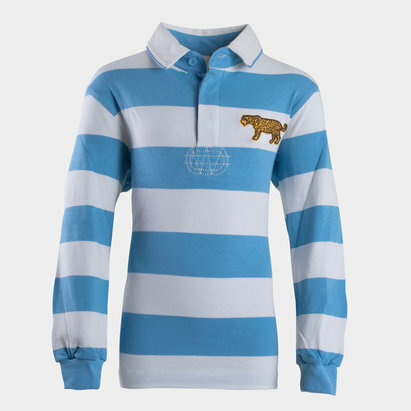 The forward facing side seam allows the jersey to twist with the player, aiding smooth movement. It also includes VapoDri technology, which is designed to wick moisture away from the body and maintain core temperature. This home shirt is black with white, uneven pinstripes running across the body. the sleeves and collar on this jersey are also white. There is also an electric blue strip across the shoulders which matches with the club's sponsor. The CCC logo is on the right whilst the club badge is on the left. The club's new sponsor - Lovell Rugby - is across the middle in blue and white. 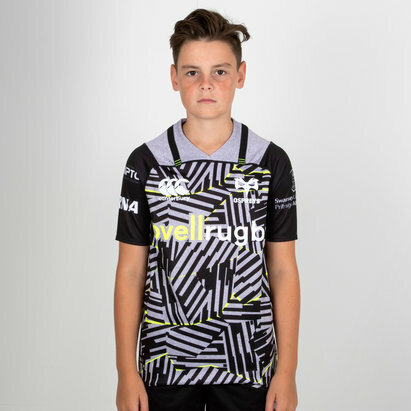 This jersey, is a replica of the kit worn by the players on match day, and has a slightly more relaxed fit than the Test version, made from 100% polyester.